this whole look is amazing! especially the scarf, shoes, and vest together! Beautifully elegant and ladylike look! 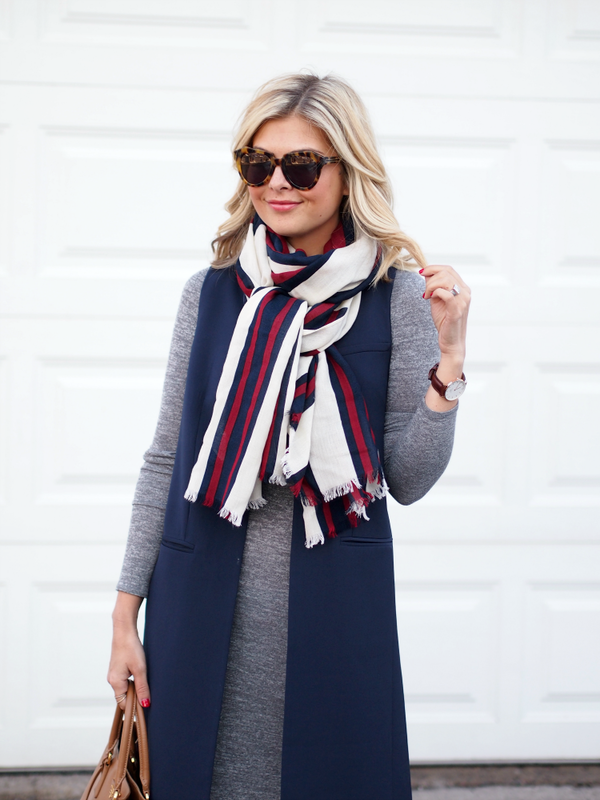 Fantastic sunnies and scarf! You look gorgeous! 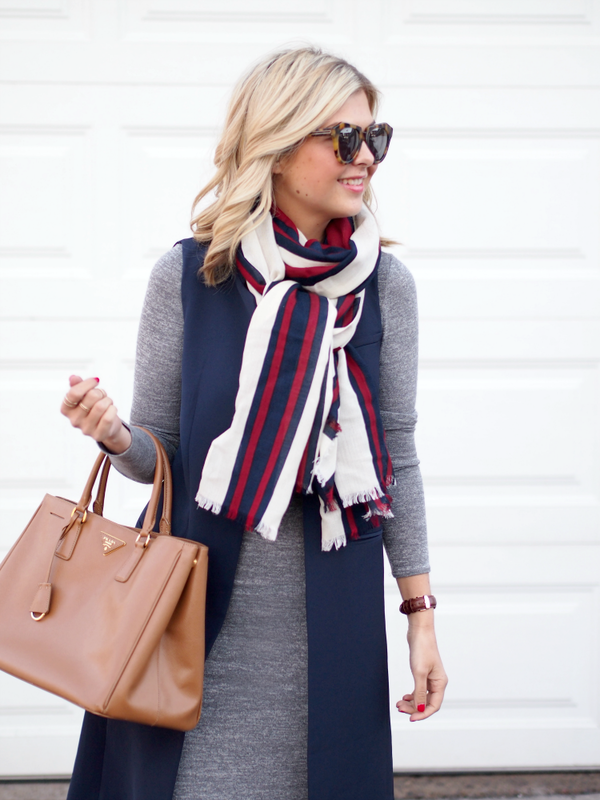 Very chic vest and stunning scarf! Love these stripes! So pretty! Loving that vest and those shoes are fab! So sharp and has such a cute retro feel to it! 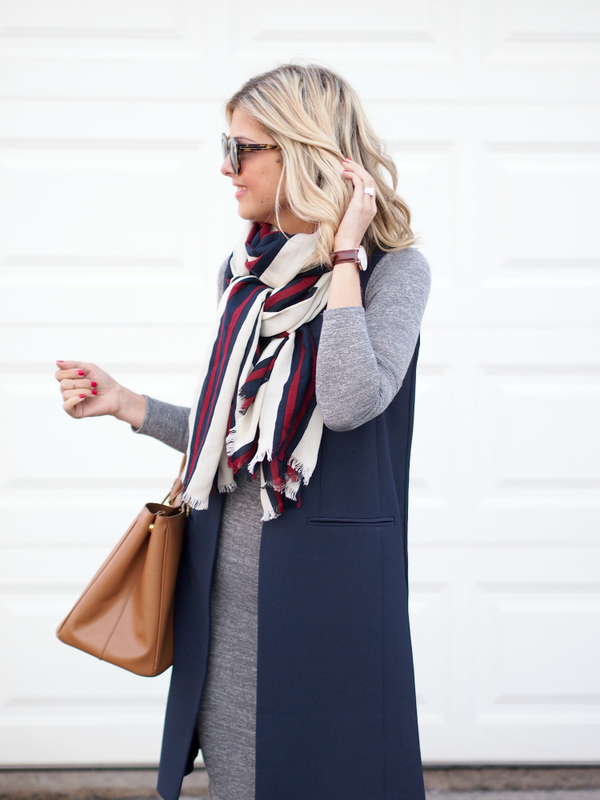 Loving the layers of this outfit. So pretty and well thought out. 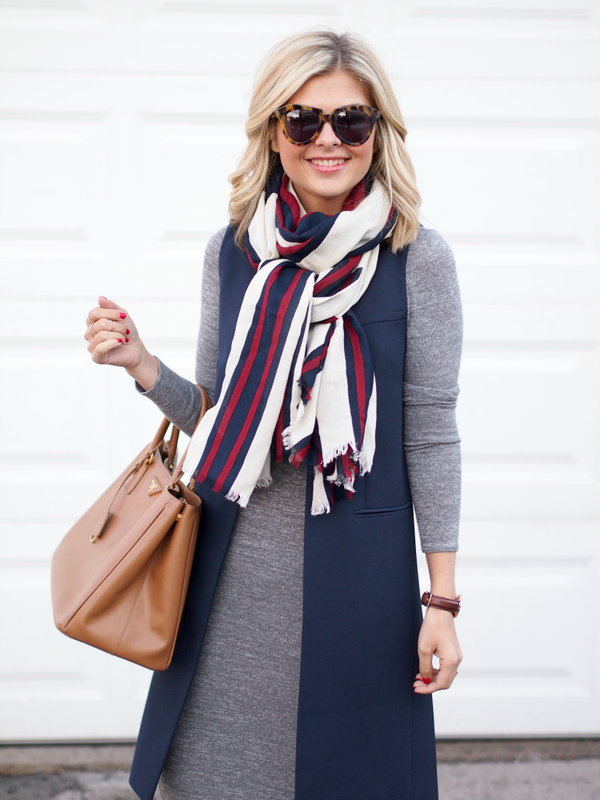 I love the vest but that dress is what really caught my eye - so versatile! Loving those shoes, beautiful scarf too! This look is so unique! I love the long vest with the dress and especially those heels. The color combo you picked looks amazing too. your styling is so fab! I love this waistcoat. I tried one on but I think maybe I'm a bit too petite for it; it stops at a weird spot. But I love it on you! I'm loving the sleeveless coats- This color combo is great too. Welcoming Spring, but could be worn year round! I love the length of the vest! Love the dress!